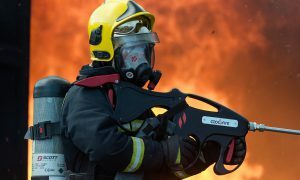 CoolFire is an innovative, rapid response technology which provides a firefighter with the advantage of being able to attack fire from a relatively safe position outside a building or structure. 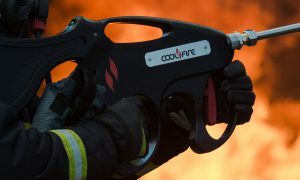 Because of its ability to penetrate virtually any material, CoolFire gives firefighters a huge flexibility in where they can attack a fire from (up through a concrete floor, sideways from an unaffected structure, for example) – a choice that is usually aided by the use of a thermal camera system to pinpoint hot spots and hot gas build up. 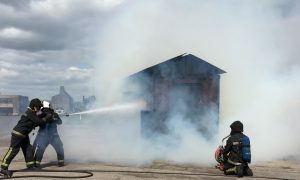 PPV can be used to carry the water mist through complex structures and/or clear residual steam or smoke. 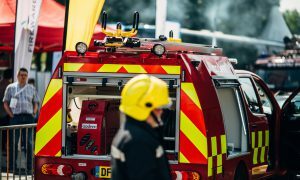 The CoolFire system will soon be available for training in the Fire Service College. The clip below demonstrates how CoolFire works.